Q: I'm Mike from Taiwan. I'm a college student majoring in medicine. I'm a standard ectomorph who only weighed 48kg at my freshman year (I am about 172 cm). 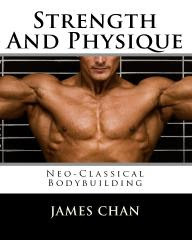 Eager to gain muscle mass and be stronger, I started weight training. I have been doing weight training for a year. Now I am 56kg. Yet after I read your article, I am really interesting in trying it. I choose three exercises and do about 6 sets of 8-10 reps. Usually I do 3 sets of 6 reps back to back as my maximum. I rest 1-2 minutes between sets. So my workout day is 15-18 sets. Q: I'm currently in a law enforcement academy in Canada, and was looking at your Return to Cop Land training program. Just have a couple questions though. First off, in comparision to newer programs, how does this stand up? Second, is this a repeatable program, or would it be best to use as say, a starter program then move onto something different? Lastly, at the moment I have Mon/Tues/Wed/Thurs that I can actually workout, and I might end up with with Friday I can use as well (depends on my current job). Would it be more damaging than beneficial to do my workouts Mon/Tues/Thurs? Or should I just do two days a week? I hope all is well. Thanks a lot for all of the tips, advice and info you give on bodybuilding. You taught me most of what I know, and because of you, I feel and look the way I do, which is pretty awesome! I tried the exercises you showed us on Sept. 12: WOW! Very impressive. All three exercises gave me a really good pump, I really felt it in my lats and shoulders. All the personal trainers will be using these now. My Answer: Hey thanks Jason. Glad you like the exercises. I didn't invent these exercises, however. I make mention in the videos or in their tags who invented or popularized the exercise. Vince Gironda is credited for the racing dive pull and lateral swing. 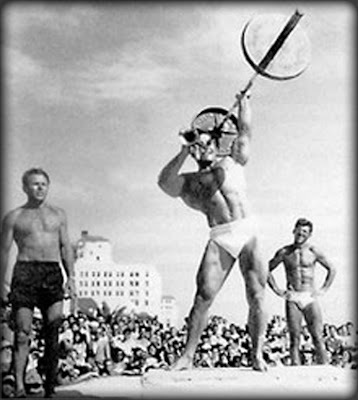 Larry Scott is credited for the one-arm lat pull. Q: I have read two of your four books I bought. 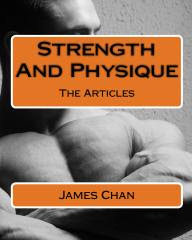 And right now I am doing the routine you outlined in Strength and Physique, The Articles: The 6 Factors Program. Now, I have done workout 1 and 2 on Saturday then Sunday. And I see that you say not to do it for more than two weeks. One of my questions is how many days rest should I take during 2 weeks of this program? I have to say I loved it!!! It was hard and I was sweating profusely. 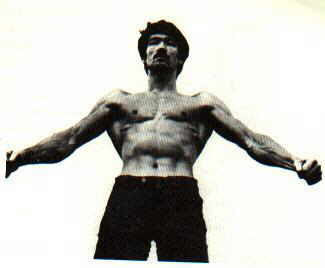 The other question is I was an ectomorph that through training and eating and getting older changed into a mesomorph. I am training to get in the best shape (some visceral fat I want to lose) I can. Is there anything that you would suggest after completing the 6 Factors Program? Regarding the pyramid program, I know you said to stick with one exercise per muscle, but could you do barbell bent over rows for 2 sets and do pullups for 2 sets? I feel like I need to add pullups to the routine because they are one of the best back exercises, and I definitely won't be able to hit 15 reps with pullups. 1) Do 3 sets of pull-ups followed by one set of pulldowns. If you cannot do 15 pull-ups, then instead do 3 sets of as many pull-ups as possible. Finish off with a burnout set of 15 pulldowns. 2) Alternate pull-ups with seated cable rows from workout to workout. For one workout, do 4 sets of as many pull-ups as possible for your back. Don't worry about sticking to the 10-8-6-15. Then on your next workout, do seated cable rows for your back with a 10-8-6-15 rep scheme. If you want to do barbell rows instead of cable, that's fine. I prefer cable rows to barbell rows. 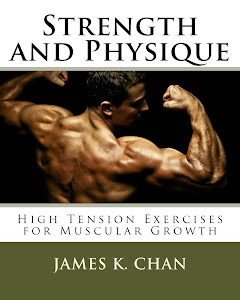 I was wondering which of your books (if any) focuses the most on training for ectomorphs? You requested that I send some back-ground information on your blog's contact page (but I am not sure it is necessary to my question since I know that I am an ecotomorph). Eating: I have a tendency to forget to eat especially when I am extremely busy. My eating habits are not the best since I grew up with fried foods, large portions. But I do not eat nearly enough protein. Usually eat plenty of fruits and vegetables, and have a tendency towards sugared things. Exercise: Varies on and off. I am usually either all (too much) or very little. I hike sometimes, sometimes use the treadmill, stationary bicycle, and elliptical machine, and occasionally swim.